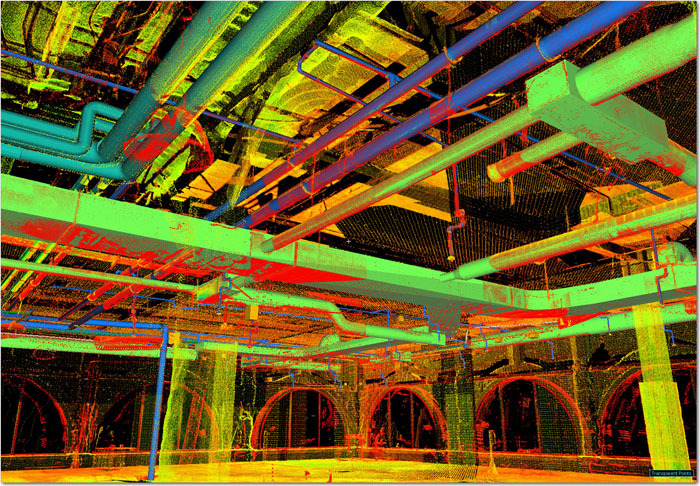 With the Government’s move towards implementing Building Information Modelling (BIM) across all its projects from 2015, FOB Design have invested in resources and technologies and are delivering the new working practices and processes across a range of projects for public and private clients. BIM has been around for a while in manufacturing and engineering industries, but is now making a big impact in the construction sector. At a strategic level, BIM offers the capacity to address many of the industries failings including low carbon, sustainability issues, waste reduction, value creation and improved productivity. ” BIM is not just about creating a fully integrated 3D model of a project, its really about the sustainability agenda, reducing carbon and reducing waste in the construction, facilities and asset management process, in effect, Achieving More with Less. The process of implementing BIM moves away from using conventional Microsoft Office and separate CAD programmes into the increased use of common open standards and project models by the whole team and supply chain. But at the end of the day its more about people and processes than software. Its about reducing risk and conflict, creating an environment for innovation and delivering expectations. BIM is not just about installing new software. It is a different way of thinking that requires a move away from the traditional work flow, with all parties (including architects, consultants contractors & the supply chain) sharing, and effectively working on, a common information pool. Essentially, BIM combines technology with new working practices to improve the quality of the delivered product and also improve the reliability and consistency of the process. It is equally applicable to facilities management as it is to construction. By moving to a shared information model environment, project failures and cost overruns should become less likely. At its simplest level, BIM provides a common environment for all information defining a building, facility or asset, together with its common parts and activities. This includes building shape, design and construction time, costs, physical performance, logistics and more. More importantly, the information relates to the intended objects (components) and processes, rather than relating to the appearance and presentation of documents and drawings. Clients are often in the best position to lead the introduction of BIM and its implementation is currently being championed by Government agencies such as MOJ and MOD in pilot projects, not only for delivery of the building, but also as a tool to manage operationally. The client however needs to know what he wants and what he is going to do with it. BIM is equally applicable to support Facilities & Asset management as it is to design and construction. Indeed, the output of the design model may well replace the need for traditional O&M manuals. Being able to interrogate an intelligent model, as opposed to searching through outdated manuals, perhaps linked to interactive guidance on the repair and/or maintenance process has obvious advantages. However, the largest single barrier to exploiting BIM is the lack of awareness or understanding. Please get in contact with FOB to understand BIM and how it could make a positive difference to you and your building procurement. Print article This entry was posted by Neil Price on November 22, 2012 at 10:00 am, and is filed under Sustainable Design. Follow any responses to this post through RSS 2.0. Both comments and pings are currently closed.